When you’re looking for pet chickens for your family, don’t forget the bantam varieties. There are lots of kid favorite bantams! If high production egg laying is not your top priority, there is plenty to recommend these little cuties. While the eggs laid by bantams will typically smaller than the eggs of large fowl varieties, there’s something about the adorable little eggs that they do lay that appeals to kids (imagine tiny little devilled eggs). Size comparison: bantam chicken on left, and large fowl chicken on right. What’s very cool is that many kid favorite bantams look very little like regular old “boring” chickens–or they have beautiful plumages that really make them stand out! When raised with affection, chickens are as friendly as cats or dogs. And for those allergic to “regular” pets, chickens make a great alternative… and bantams in particular take up little space. There are a ton of benefits to keeping chickens, no matter their size (and if you can manage to adopt rescue hens, there are even more benefits). If you prefer a breed that looks a LITTLE more like a bird, Belgian bantams are lovely. First of all they’re friendly and easily handled, but they also have some “fancy” feathering, with beards (and some varieties with feathered legs). 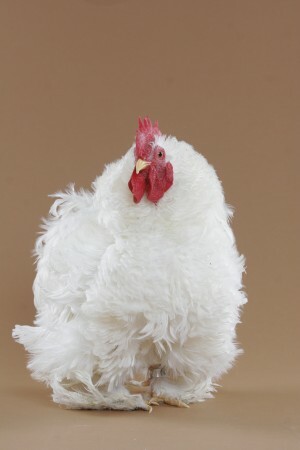 Cochins in general are great friendly birds for the family… but kids often like the frizzled varieties especially. The frizzling causes the feathers to curl up, so the birds look as if they’re in a constant wind storm. 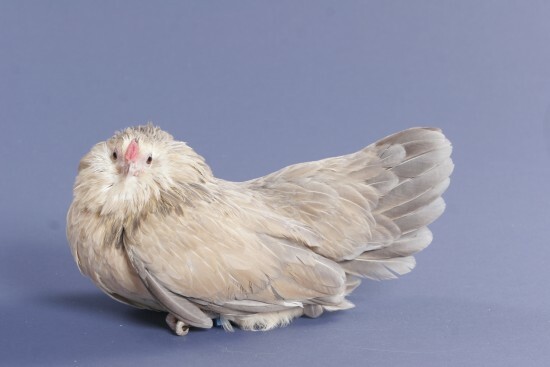 They come in many different color varieties–and in fact you can get frizzled feathers in a variety of breeds, although the cochin in probably the most common. 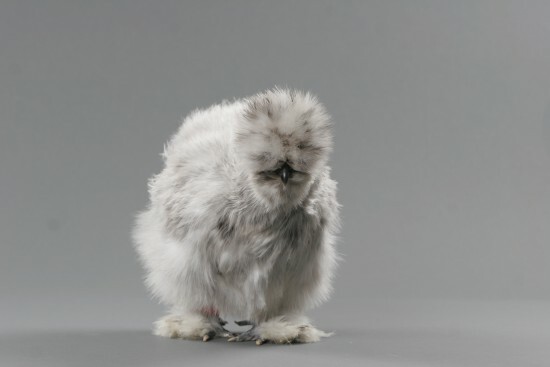 Silkies also have unusual feathers–their plumage lacks the barbicels that normally hold a feather together… so what you get is a bird that looks and feels as if it’s covered with fur. 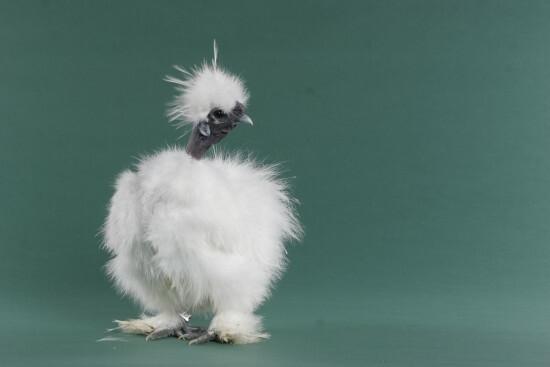 Silkies are among the friendliest little birds you can get. Their nickname–the “lap dog of the chicken world”–is certainly appropriate! Silkies come in lots of colors, too. Showgirls are actually a rare plumage of silkie, developed to have a bare neck (so we’re counting them with the silkie). Some varieties even have a little puff of feathers at the neck, sort of a funky little bow tie… or boa. 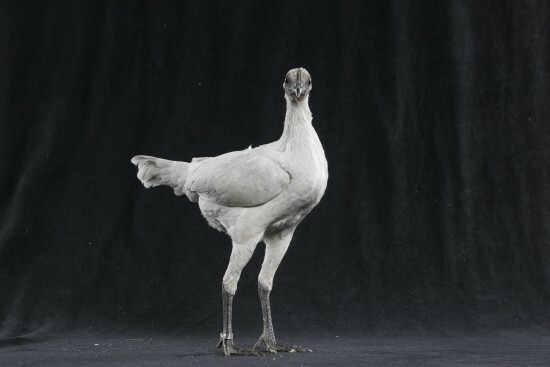 They have the same basic personality of the Silkie, but look even goofier. Who doesn’t love a goofy looking pet? Showgirls are called ShowGIRLS, even when they’re males. Seramas are another rare variety coming in many colors. They particularly appeal to kids because they are the smallest chicken in the world. 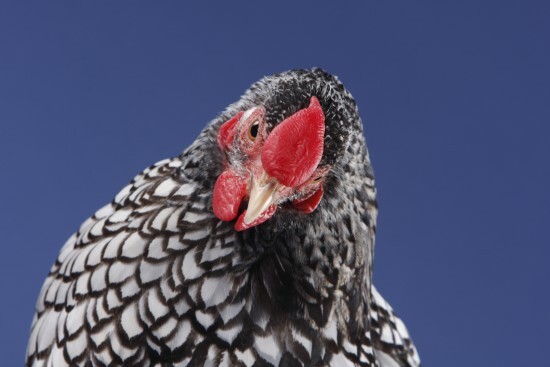 While most bantams are three-ish pounds, seramas are often a pound–or even less. They almost have the appearance of a little songbird. 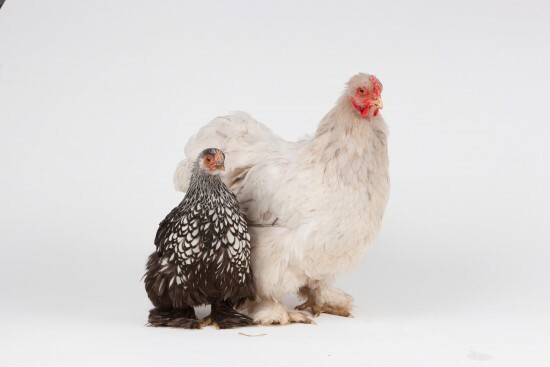 Wyandottes have the appearance of a traditional chicken… just much smaller. What makes them stand out is really the plumage. Silver and Gold Laced Varieties have each feather outlined in black, and they lay like dragon scales, very cool! 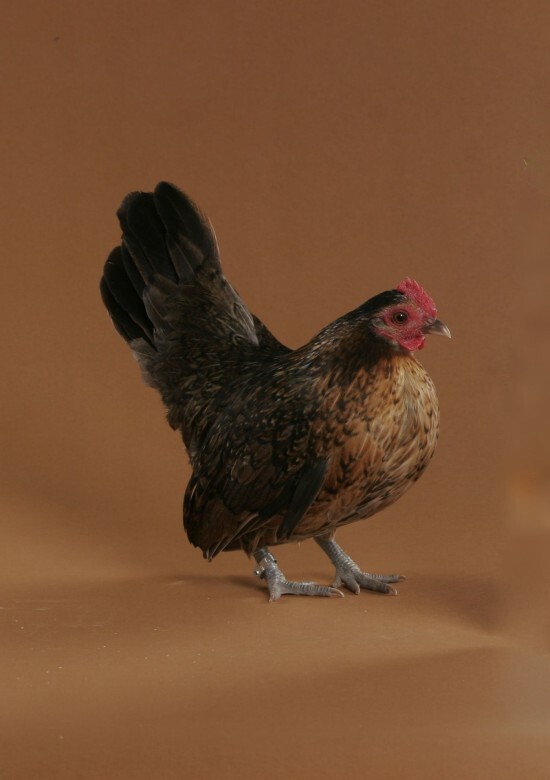 There are other bantam varieties with the same plumage, but the Wyandottes are usually easier to raise. Sebrights, for example, can be especially delicate as chicks. Modern Game Bantams may be the supermodel of the chicken world. Tall and skinny with long legs, they are somehow both striking and bizarre: jolie laide, as the French say. But the cool thing is that they’re very friendly with humans. When choosing chickens your kids will love, don’t forget to teach them to wash their hands after handling the chickens. We had a Antwerp Belgium Bantam rooster that got so mean that you couldn’t get 20 feet out of the house before he would attack. We ended up having to give him away. Replaced him with a Buff Cochin that was real friendly. I have to agree 100% with this list! There’s a reason people love their silkies, cochins, seramas, and on and on. I’ve had my eyes on D’Anvers this year but I had some other breeds on my mind that I wanted before that, and I’m already exhausted with hatching and brooding so maybe next year? My breeds include Breda Fowl and Brahmas. You can’t argue with utilitarian breeds like the wyandotte! Love my great layers that include orpingtons and hybrid layers. But as pets, your list is fantastic. My bantam Cochin is an eggs-elent layer! Usually 5 or 6 little eggs a week. As many as my leghorn. Eggs-ept when she went broody. But she was very easy to “break “. I Just moved her to a new coop et voila! !